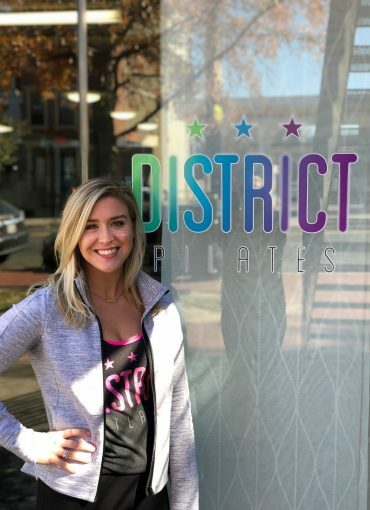 Amanda discovered pilates reformer classes after moving to DC in 2015. She immediately fell in love with the way class made her feel during and after her workout. When she developed patellar tendinitis, pilates helped drastically reduce the pain while keeping her healthy. Soon after, she decided to start teaching to show how pilates can help achieve not only your fitness goals, but also health and mental goals as well. Pilates is a challenging but effective workout that you can’t find in any other form of fitness and Amanda loves that you can tailor it to meet your needs. Her teaching style is accessible but challenging. She likes her classes to be full-body workouts that push people’s limits and leaves them leave feeling stronger and restored! When she isn’t teaching, Amanda enjoys cooking and exploring fun new bars and restaurants in DC!